In Clocks > Gilbert Clocks > Show & Tell. Hello! Tutzie...here it is...any help to put me in the right direction would be great and very much appreciated...I know not anything special but! I just loved the shape. 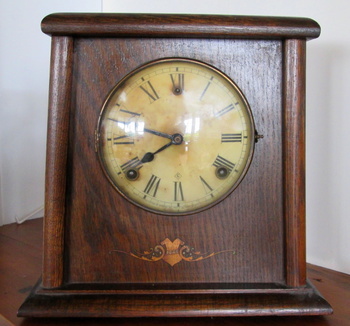 Hi inky, Yes, your pretty oak shelf clock is definitely American and produced by the Wm. Gilbert Clock Company. Note Wm. on the partial label and the G in the center of dial. The dial appears to me to be 'celluloid. Love the little inlay design, too! 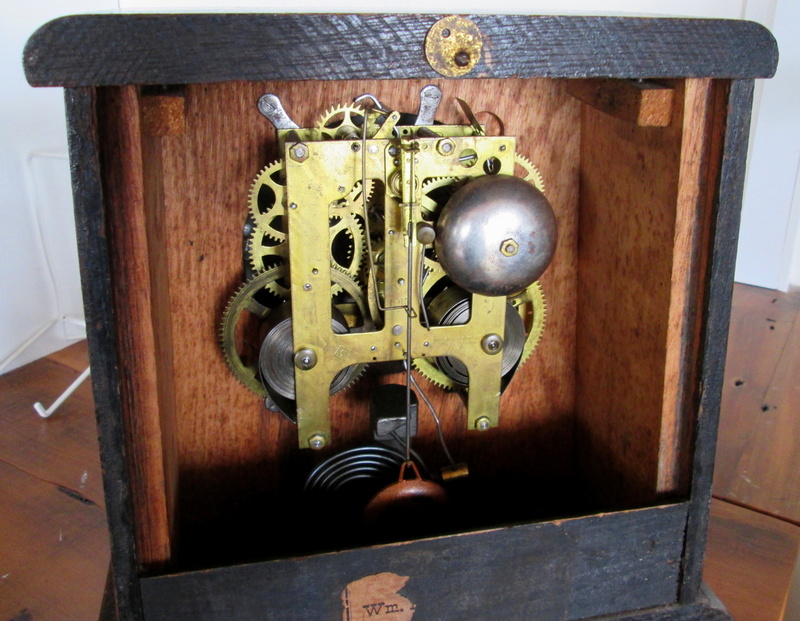 The clock has an 8-day spring driven movement striking the wire gong on the hour(s) as well as a bell on 1/2 hour. I could be off here, but I might date this to 1905-1915. My father inherited one from his, similar in style, is it 8 day? The latter clocks had flaired sides, ie the put another angled panel to make it look bigger and more deco. Quite often this was done to older clocks to adapt the look. 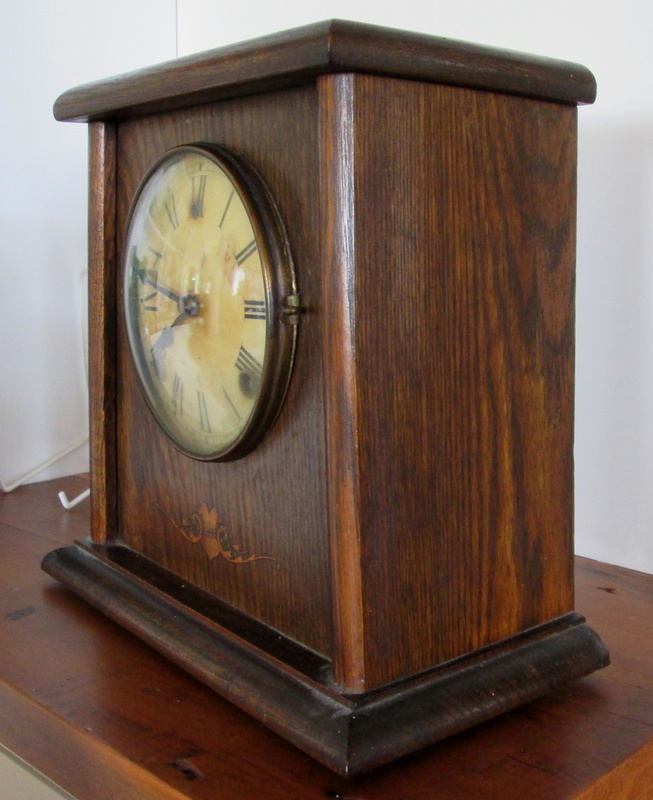 Our family clock was oak and flared and presented to my grandfather by his company but a lighter stain. Your stain is much earlier in colour IMHO. Does yours strike at intervals, hourly or not at all? Simple shapes are always nice to look, very nice clock. What a clock that it -- Stunning! !